Natural Dyes represent a means to return some wealth to many Third World countries. The most coveted Natural Dyes require the tropical sun to create the strong colors of red, blue, and purple. As more and more people realize the pollution that is created with the use of synthetic, chemical dyes, more will want to use Natural Dyes. The superior beauty of Natural Dyes is ultimately attractive. There is a higher cost, initially, but the environmental and personal benefit outweigh this, as more people are coming to realize. However, there has been such a small market for these dyes for so long that the channels of commerce have been broken. Even the cultivation and harvesting have been neglected. In some areas, detailed knowledge and skills of preparations have been lost, though fortunately they remain alive in other areas, and knowledge can be shared. 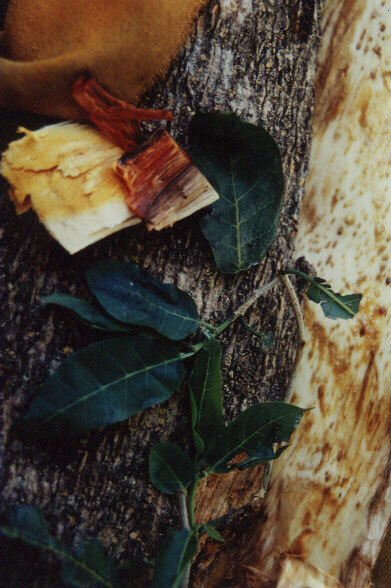 One of the dyes which has become scarce in the market is Logwood. This is a very important dye, the dye used for purple and black. This tropical tree naturally grows in the Caribbean Islands and the coast of the Yucatan and Belise. While formerly abundant, it has suffered extreme overcutting as part of the general deforestation that has happened and continues to happen worldwide. In most places, it would be unconscionable to harvest the few remaining large Logwood trees. 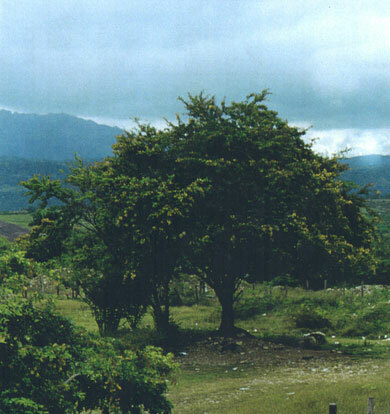 Fortunately, in the Dominican Republic, Logwood grows rapidly, and small trees are fairly abundant. There, it is possible to sustain a level of harvest to supply the art dye market. But for a future larger market, it is necessary to increase the supply by planting many more trees. If planted now, trees will be ready for a thinning harvest in about twenty years, and plots should produce continuously thereafter. Our proposal is to purchase several small lots of unused land, suitable for growing of Logwood, to plant trees on this land, and to encourage other people to plant trees all over the island. While waiting for these trees to grow, we will reestablish the infrastructure for harvesting, aging, preparing, transporting, and distributing Logwood. Ecological harvesting will be practiced, so that no wild stands will be depleted. And, of course we will continue to promote the use of Natural Dyes, so that the market for this product of the earth will continue to grow and support this project. In this way, we may all share our relative wealth, and return some value to parts of this planet that are desperately poor. By buying an ecological dye or color you are helping the people of these countries to be able to afford to care for their own environment. For Logwood Natual Dye and natural fabrics and yarns dyed with Logwood go to Aurora Silk's Logwood page.